On 25th April 2014, I posted a picture on Facebook (see below redacted to protect my running identity). 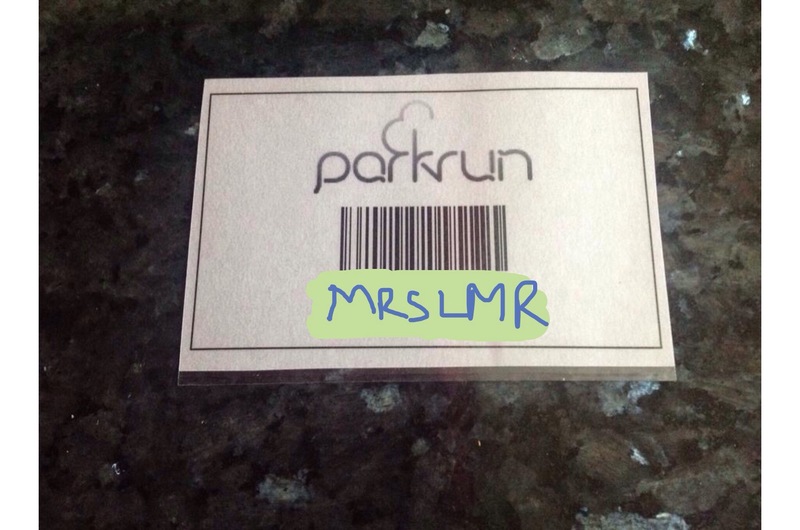 It was my parkrun barcode. It represented a final goal in a personal challenge, I had set myself in January, to get running again after the birth of MM in 2012. It took me a long time to return to running after MM, as the transition from one to two monkeys was hard work. There suddenly was no “me time” available. However, in 2014, I knew I needed to help myself. I had taken a temporary promotion at work and was so stressed I was miserable. This Saturday, I am Attending my first Parkrun since I fell pregnant with BM at the end of 2014. This is my Parkrun story and why I will always go back. At the start of my 2014 challenge I knew I needed to do things properly this time. No more pushing myself beyond what I was capable of and losing motivation. I had to embrace my position as the Last Man and accept my limits. Especially now that I had two monkeys and no time. I bought a book by Runners World called Run Your Belly Off. It was a beginners guide to running. The programme was set out in 12 week sections, with the view to completing a 5k run at the end. The guidance was that you took each week as it came and if you needed to do one week several times so be it. The first four weeks were just walking. The principal being that you needed to establish a regular routine of exercising. Find a time three or four times per week that you could devote 20 to 30 minutes to just you. A little slice of me time. As the weeks progressed, I gained confidence and found that a slower pace, interval training and listening to my body made me stronger as a runner. The book said there was no point in rushing as you were only racing yourself. During this time I became aware of Parkrun. I can’t even remember how. There are three runs available near me and when I looked into it I was blown away with the theory of it. The fact that so many people ran every Saturday and no one asked for any money. I was also surprised about the ethos that everyone was welcome. Having always been intimidated by fanatical runners and running clubs it felt so inclusive and welcoming. By April I felt confident enough to take part in my first Parkrun and signed up online. It couldn’t have been simpler, if you discount the fact that I don’t have a home printer and when I emailed myself at work I was unable to open the document due to firewalls and computer stuff I don’t understand. Despite this however, my lovely colleague in the IT department worked it out and printed off a sheet of barcodes. Then my other lovely colleague took them away and laminated them too. They were perfect and just added to my excitement of taking part in something that felt so important. On 26th April 2014, I stood at the start line of my first Parkrun at the Tees Barage in Stockton on Tees. There were loads of other runners and I even bumped into someone I knew. The atmosphere was amazing. I felt included and well within my comfort zone. As we set off, I soon dropped behind many of the front runners but found myself keeping pace with runners of similar abilities. The course was predominantly flat and easy to manage. Marshals dotted along the course to ensure you stayed to the route and a lovely welcome on the finish line. Barcode scanned and my time and position secured. I admit, due to monkey commitments and my subsequent pregnancy, I only ran parkrun once more. But I always intended to return. Parkrun is an incredible phenomenon. The idea is so simple but so powerful. 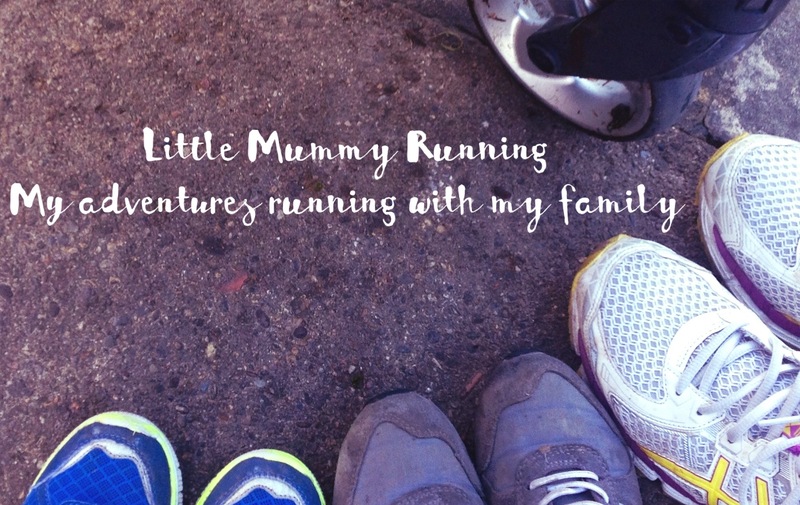 A community of runners, organised and run by volunteers, empowering others to take part. It’s free and you can take part as much or as little as you want. Families, pushchairs and even dogs are welcome at most venues. Race yourself or others if you chose to. Check your progress, use it as regular training or, like me, make it your goal. You can dip in and out or totally emerse yourself in the experience. I am struggling to find races for July and August to fit in with my 2016 5k challenges so I plan to run two Parkruns. The locations and dates to be confirmed. I will try two new ones so that I can review the venues, although I already know I won’t be disappointed. Tomorrow, just over two years since my first Parkrun, I am taking part again. My number one Australian fan is coming to visit and we had to run together. Where better than Parkrun. Despite some grim looking weather predictions, I am excited. I #loveparkrun. In the future I plan to run more Parkruns myself, with my monkeys at Junior Parkrun and volunteer as a marshal. I tell anyone, who is even the slightest bit interested, how amazing it is. Thank you Parkrun for being there two years ago and still being here today. I hope you are still here for many years to come. You can count on this Little Mummy Running to support you all she can. ← Today in the Monkey House: The return of walking the school run.